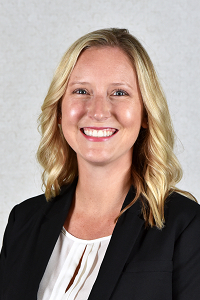 Kylie is a Manager with Bradley Associates and a 2009 graduate of Indiana University Purdue University Indianapolis with a Bachelor of Science Degree in Accounting and Finance. Kylie joined the Firm in 2007 as an intern and began full-time immediately following graduation. Kylie has worked as both an auditor and consultant to hospitals, nursing facilities, group homes, and other healthcare entities during her career. Her general areas of expertise include financial statement audits; Medicare and Medicaid cost report preparation, including preparation of home office, prospective payment system hospitals, critical access hospitals, and other cost reports; Medicare and Medicaid appeals preparation; financial projections and analysis; fair market value analyses of physician compensation; interim support and general healthcare consulting. Kylie is a member of the American Institute of Certified Public Accountants, Indiana CPA Society, & Healthcare Financial Management Association. Andrew is a Manager with Bradley Associates and a 2009 graduate of Indiana University with a Bachelor of Science Degree in Accounting, Finance, & International Studies. He graduated with honors, highest distinction. Andrew joined the Firm in 2009 following his graduation. Andrew has worked as both an auditor and consultant to various healthcare providers, including but not limited to hospitals, nursing facilities, group homes, and physician groups during his career. His general areas of expertise include Medicare and Medicaid reimbursement consulting and cost report preparation, audit financial projections and analysis, programming (VBA), database management (SQL), and numerous other various healthcare and information system consulting projects. With Andrew’s technical skills and experience in preparing and reviewing Medicare and Medicaid cost reports, he has been able to address a wide-variety of client needs. This includes developing the Bradley Contractual Model (BCM) software application which is utilized by Critical Access Hospitals (CAHs) nationwide in calculating third-party settlements and contractual allowances, establishing a comprehensive approach and model for scrubbing hospital third-party bad debt including assisting in extracting the data from the hospital’s information systems, and performing reimbursement impact analysis of third-party adjustments and preparation of the provider’s response to the audit’s findings. 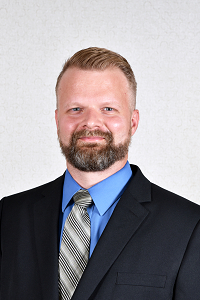 In addition, Andrew has experience in providing financial assurance services, such as audits, reviews, compilations and other agreed upon procedures to our clients in the healthcare industry. Andrew is a member of the AICPA and Indiana CPA Society. 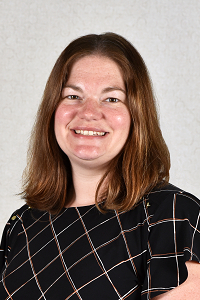 Diane is a Manager with Bradley Associates and a 2004 graduate of Indiana University with a Bachelor of Science Degree in Accounting and Finance. Diane also received her Masters of Professional Accountancy from Indiana University-Purdue University. Diane joined the Firm in 2006. Her general areas of expertise include tax return preparation and consulting, benefit plan audits, Medicare and Medicaid cost report preparation, and various healthcare consulting projects. Her experience includes the following: preparation of Medicare and Medicaid cost reports for healthcare entities including hospitals, nursing facilities, group homes, home health agencies, federally qualified health centers, and other healthcare entities and provides related reimbursement and consulting services such as assisting those entities with Medicare and Medicaid cost report audits. Diane also prepares change in scope of service analyses for federally qualified health centers. In addition, Diane manages the preparation of not-for-profit tax returns and of personal property tax returns and exemptions. She also performs DOL limited scope audits of benefit plans. Diane is member of the AICPA and Indiana CPA Society. © 2019 Bradley Associates, P.C. All Rights Reserved.